Crown Advertising was founded in 1965 on a simple principle: Offer high quality ad specialties for affordable prices. Today, we still offer the most popular choices in ad specialties for the motorcycling and powersports industries at low prices. 515 S. Tanner St. Rantoul, IL 61866 (217) 552-4773 sales@crownadv.com We are the makers of the Original Custom Imprinted Motorcycle Coaster®. Order from us directly. We have no distributors. If you are interested in a product you don't see on our product pages, email us or call us. WELCOME TO THE CROWN ADVERTISING WEBSITE! 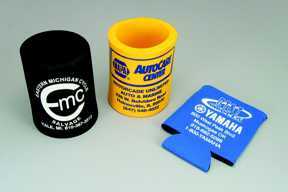 We carry advertising specialties for the powersports and motorcycling industries. We are your source for The Original Motorcycle Coaster®. No additional charges on most items. Any added charges are clearly marked. 10% OFF any combined order of $1,000 or more! TERMS & CONDITIONS: Most items require 4 weeks production, after proof approval. 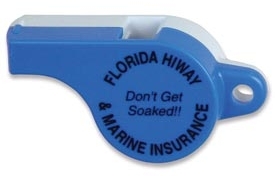 Custom imprinted items must be paid for at time of order. 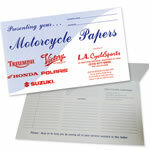 We pay freight on most pre-paid orders, excluding Custom Imprinted Motorcycle Coasters® and other clearly marked items. We offer free shipping within the continental United States. Additional charges apply for shipping to Alaska, Hawaii, Puerto Rico, and internationally. COD's are not available. Prices subject to change without notice, verify price at time of order. We do not do speculative art. Price quotes are as per specifications indicated at the time. Specification changes will affect final price. Actual deadlines are only provided at time of actual order with complete information from you. PROOFS: Proofs are part of our product/service and are only available with a completed order form including credit card payment information. Your proof is a print-ready file; a resource ready for you to re-use anywhere (unless otherwise specified). 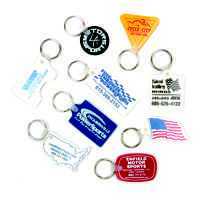 TRADEMARKS & LOGO USAGE: Trademarks, logos and designs imprinted on products shown on this website are reproduced as examples only and do not represent an implied or actual endorsement by the companies these logos and trademarks represent. The designs which appear on this website are not for sale to anyone other than parties expressly authorized by the owner of such designs. All trademarks and proprietary items will be reproduced by us with the understanding that the customer has obtained full clearance from the owner of such items. The customer hereby agrees to hold us harmless for any damages, costs or expenses (including attorney fees) when they arise as a consequence of our use of customer submitted copy. *Typesetting: No charge for straight type composition from our library of typestyles and selected clip art. Artwork charges will be applied to logo enhancement or special type. †Free Shipping: within the Continental United States. Extra charges apply for shipping to Alaska, Hawaii, Puerto Rico and internationally.